Uber Supporter Malaysia, a fan group of Uber started an online petition yesterday as a way to combat SPAD’s decision to “crush” Uber and to protect an already “dated and largely broken taxi system”. The fan group created the petition on change.org and at the time of this writing the petition has garnered support from over 3,400 people. The petition requires 5,000 signatures. The petition urges the Land Public Transport Commission (SPAD) along with 5 other stakeholders like the Prime Minister’s Office of Malaysia, Performance Management & Delivery Unit (PEMANDU), among others to consider taking a pragmatic approach to regulate the platform rather than eliminating it. You can check out the petition here. The petition comes in as a response after SPAD found a way to clamp down on Uber by using the mobile app to track private car owners that offer the service and denying them the option to renew their road tax. Its CEO, Mohd Azharuddin Mat Sah said, “The efforts are also in line with our commitment to improve taxi standards in the country,” at the Urban Transformation Forum yesterday, according to The Malay Mail. 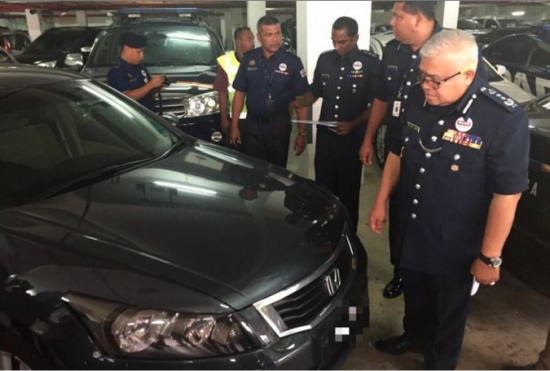 Since October last year, SPAD has seized 44 Uber and 97 GrabCar vehicles for offering illegal taxi services. The penalty of unlicensed ferrying includes fines of up to RM10,000 or a even a maximum jail sentence of over a year. Car companies on the other hand could be fined up to a RM100,000. However, Mohd Azharuddin Mat Sah also told reporters that they understand the appeal of such services and the sentiment of the people towards it. The Malay Mail also reported that they are committed to finding a solution towards this new technology that has been operating beyond the commission’s legal framework. SPAD iterates that although Uber and Grabcar are legal as “service” matching businesses, the manner in that they operate is not, and thus necessary action has to be taken. Whether Uber and Grabcar will be allowed to operate in Malaysia legally is still unknown. But if you’d like to support Uber and its service in Malaysia, you could sign the online petition here.